Click on text link below any book for more details or to purchase. Loudly and proudly, let’s celebrate YOU! 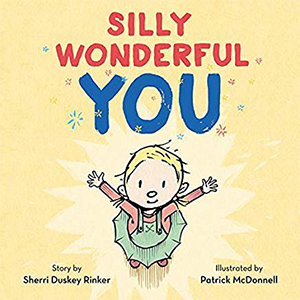 This charming new picture book celebrates all the small but important milestones on the way to growing up, from the first wobbly baby steps to the time when they’re ready to leave the nest. With irresistible illustrations and an inspiring message, Celebrate You! will cheer and encourage readers of any age. Time for the construction site to SHAPE UP! 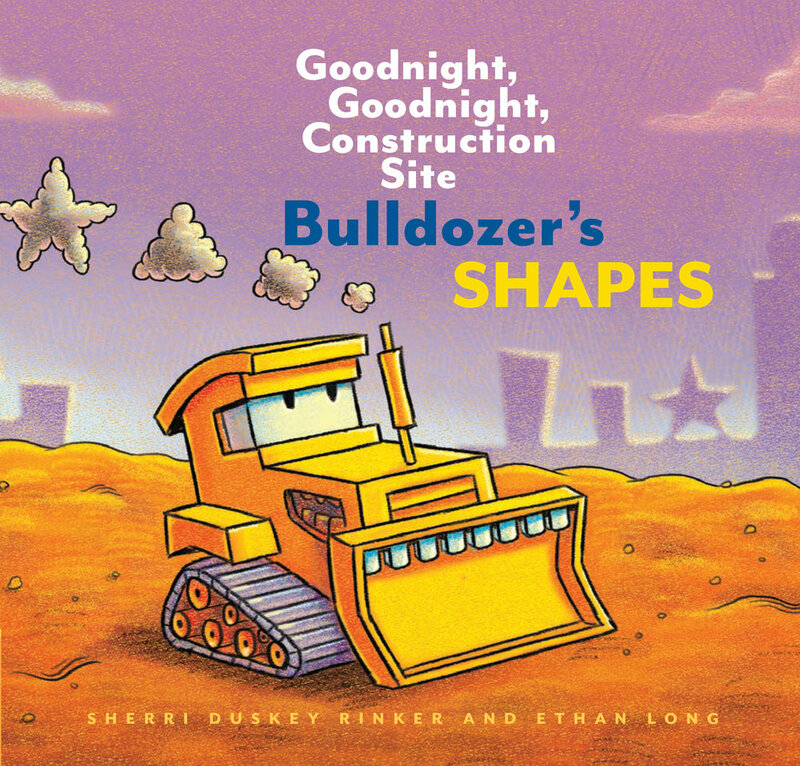 Little construction fans will love learning their shapes by watching Bulldozer CIRCLE around, clearing away TRIANGLES of dirt until the perfect building spot has been SQUARED away. 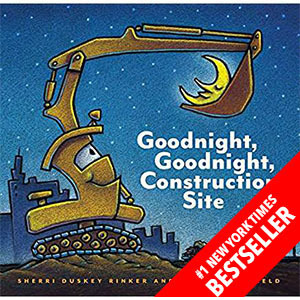 It's all in a day's work for the trucks of the bestselling Goodnight, Goodnight, Construction Site! The construction crew is counting on Excavator, and he won't let them down! 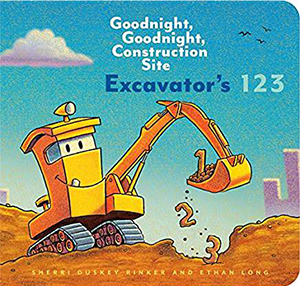 Little readers can count along from 1 to 10 as Excavator revs into action on the construction site. Ready? 1, 2, 3 . . . GO! The trucks are gearing up for Christmas by building a special gift! But, there's a surprise waiting for each of them, too! Presents await for Excavator, Bulldozer, Crane, Dump Truck, and Cement Mixer as each finishes their part of this big, important job and rolls off to a sweet and sleepy goodnight. Sing along with these construction ABCs! 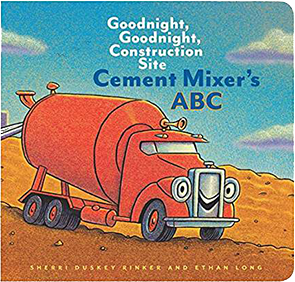 Cement Mixer churns out a rollicking alphabet rhyme that makes work light and teaches little readers the words of the construction site, from A to Z. Join Dump Truck on his colorfully busy day at the construction site! Little construction fans will love the colors that fill the world of the bestselling Goodnight, Goodnight, Construction Site, from the BLUE sky in the morning to the WHITE moon at night! Tiny may be a small dog, but don't let that fool you. He's a pooch with power who knows what he wants. And he's going for it. But oh, those pesky pessimists -- they're trying to rain on Tiny's dig-parade! Thank goodness for one special boy who believes in Tiny, because in the end, this dog's grit proves that he's the little pup who could... dig up some giant surprises! 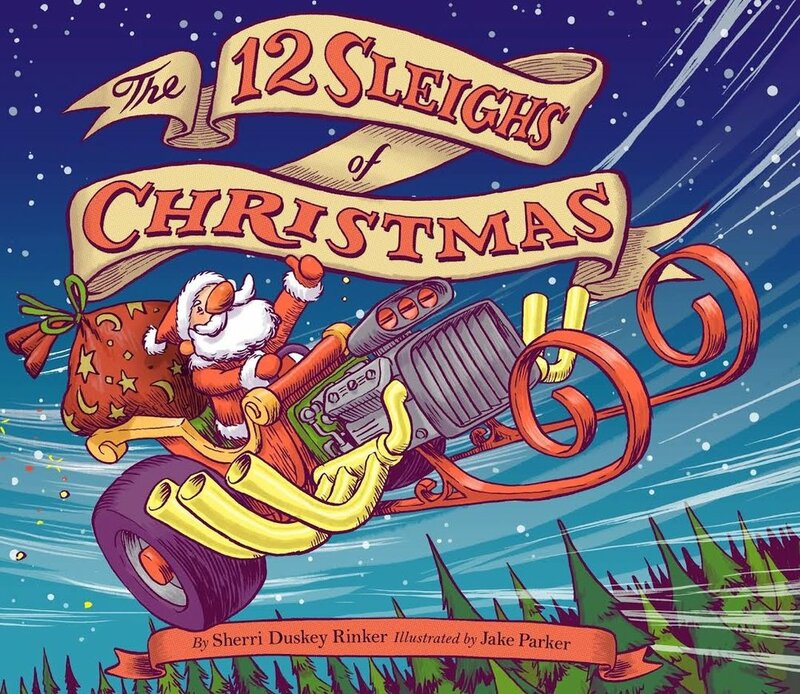 When the elves discover that Santa's sleigh is in a terrible state, they let their imaginations of wild - and soon there are sleighs of every kind, inspired by big rigs, motorcycles, zeppelins, and much more! 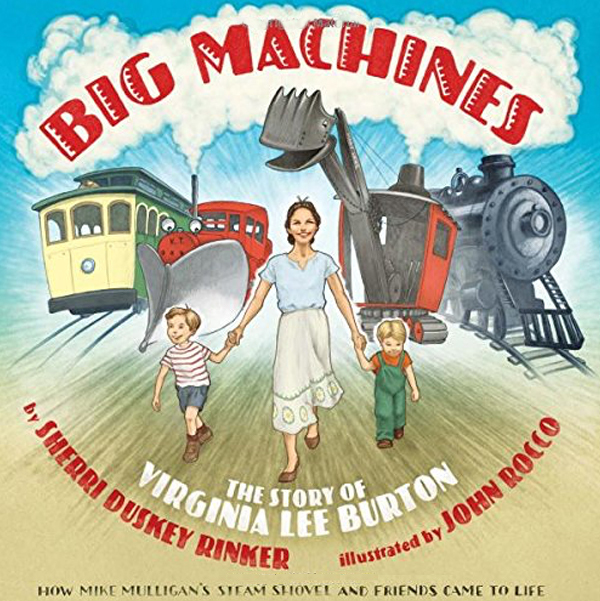 The Story of Virginia Lee Burton written by one of her biggest fans, Sherri Rinker. Yes, the wait is over...NEW adventures are on your way. Some favorite characters and new faces are back in a great new story. Beautifully illustrated by best seller Tom Litchenheld. Before YOU came along, so many things were different! But now...There's laughter a house full of adventures and toys, a million little surprises...And so much to love. 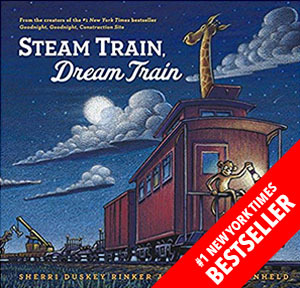 Illustrated by the bestselling, nationally acclaimed, Caldecott Honoree: The fabulous, award-winning Patrick McDonnell. 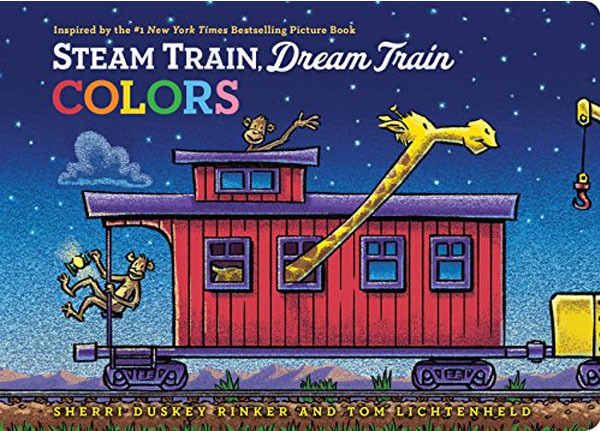 All aboard for a rainbow of train cars and their lively animal crew! 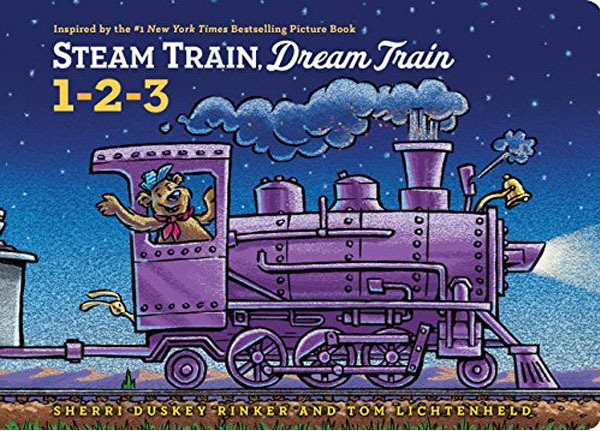 Vivid colors and cozy rhyming text inspired by the bestselling Steam Train, Dream Train will make learning colors a rich experience for the smallest readers. As the sun sets behind the big construction site, all the hardworking trucks get ready to say goodnight. One by one, Crane Truck, Cement Mixer, Dump Truck, Bulldozer, and Excavator finish their work and lie down to rest -- so they'll be ready for another day of rough and tough construction play! 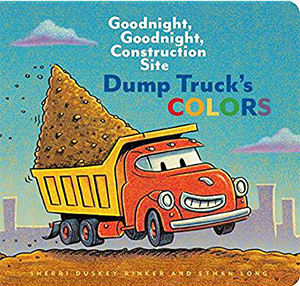 With irresistible artwork by best-selling illustrator Tom Lichtenheld and sweet, rhyming text, this book will have truck lovers of all ages begging for more. Click above to see the entire collection of books, toys and wonderful one-of-a kind gift ideas! You must be over age thirteen to subscribe.